How often do you find out that your smartphone is causing distractions as you go about your daily task? Well, if you are a teen, and your parent is always telling you to put your phone away for some time, then you are probably addicted to your smartphone. It is true, there are so many things in your smartphone that wants and keep calling for your attention, if this your case, and you are looking for way to help you control the use of your phone, then the Siempo app can be of great help. The Siempo app is a launcher app, meaning when you activate the app, it will take control of your smartphone home screen, app menu design and even your notification settings. So in order to help you curb your smartphone addiction, the Siempo app make the inviting, self-absorbing apps and features of your smartphone which is responsible for your addiction less distracting. How does the Siempo app accomplish this? Here are some of the things it does. The Siempo app when activated will replace your appealing and colorful home screen with a black and white version without those beloved app icons and usually serve as a distraction to you when you unlock your smartphone. Taking control of your app menu, the Siempo app separate your useful tools from time-consuming apps which are responsible for your smartphone addiction problem. And doing more, the Siempo app also randomize the time-consuming apps icon, so as to prevent you from opening them in a unrestrained manner. Thus the app with the Facebook icon might be the Play Store while the app with the Play Store icon might still open the Play Store app. Siempo also take control of how you get notification. Once you activate Siempo, instead of receiving notification instantly, Siempo will deliver them in batches, hourly or few time during the day. 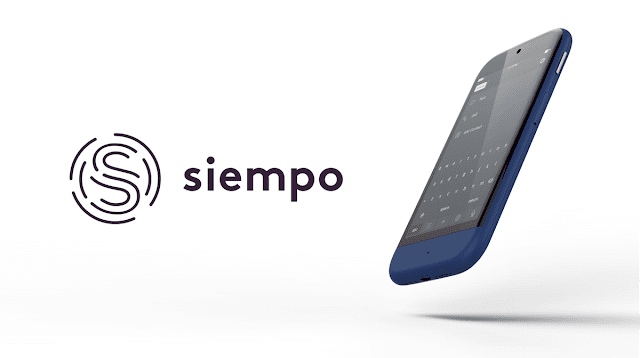 So get rid of your smartphone addiction problem with this Siempo app which is aimed to make Phone for Humans and not Humans for Phone.